Vacuum evaporation is a process in which a solid material (referred to as the evaporating material) is heated in a high vacuum environment to be deposited on a specific substrate to obtain a film. The vacuum evaporation process is mainly used in microelectronics to make active components, device contacts and metal interconnections, high precision low-temperature coefficient thin film resistors, and insulating dielectrics and electrodes for film capacitors. The formation of various films by vacuum evaporation process is an important technology for integrated circuit fabrication. 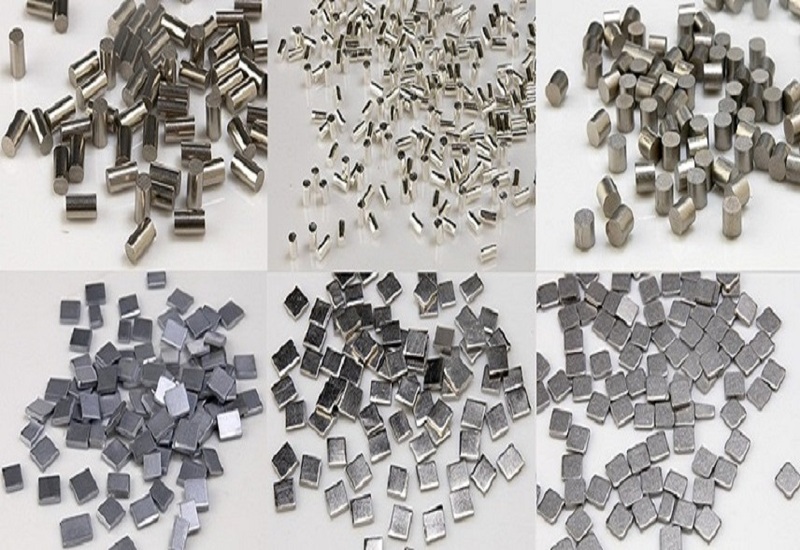 A wide range of materials, such as conductive materials, dielectric materials, magnetic materials, and semiconductor materials, can be deposited by a vacuum evaporation. 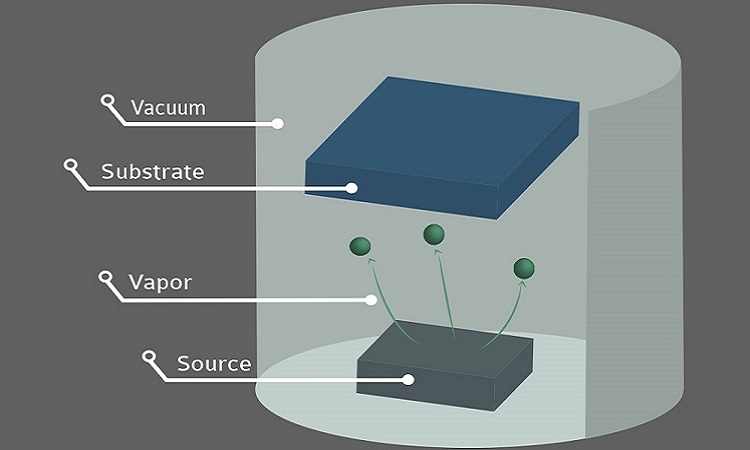 In the vacuum evaporation process, the vacuum degree of the system directly affects the quality of the film. In order to deposit the evaporating atom or molecule on a substrate at a distance from the evaporation source, the vacuum of the vacuum chamber should generally be better than 6 x 10-2 Pa. In the vacuum chamber, the evaporation material is only evaporated when its vapor pressure is above 1 Pa. For this reason, it is often necessary to heat the evaporating pellets to 1000 to 2000 ° C; for some refractory materials, it has to be heated to as high as 3000 ° C.
1 Direct heating. 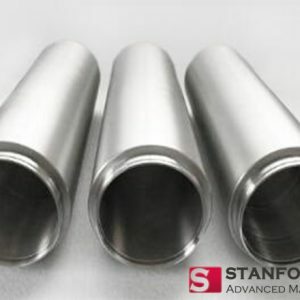 Make the high-melting-point conductor (such as a mixture of molybdenum, niobium, tungsten or graphite, boron nitride, and titanium boride) into a basket or boat of various shapes, placed the evaporation pellets on them, and use a high current to elevate the temperature. 2 Indirect heating. Some materials might be eroded by the heated material at high temperatures and are therefore should not directly be placed on the heater. At this time, we could use some heat-resistant and stable material such as alumina, yttrium oxide or zirconia to make a crucible. The evaporating material is placed in the crucible, and the heater heats and evaporates the material through the crucible. Evaporation mainly includes electron beam evaporation, multi-source evaporation, instantaneous evaporation, laser evaporation, and reaction evaporation. 1 Electron beam evaporation: The electron beam is accelerated under an electric field of 5 to 10 kV/cm, and the electron beam is focused by an electron lens, and the temperature of the evaporation material in the crucible is raised to its evaporation temperature. 2 Multi-source evaporation: According to the composition of the film, the material is simultaneously heated and evaporated using two or more evaporation sources, and deposited on the same substrate. Different film compositions can be obtained by controlling the strength of each evaporation source. 3 Instant evaporation: The multi-element material prepared as needed is placed in a specific container in the vacuum chamber. When the heater reaches the predetermined temperature, a certain amount of material is quickly sent to the heater that has reached the high temperature through the feeding mechanism and is heated instantaneously to obtain a film of a certain composition. 4 Laser evaporation: The surface of the evaporation material is irradiated with a laser pulse with a very high power density, so that the exposed surface of the material is instantly heated to several thousand degrees. Any material will rapidly vaporize and evaporate at this high temperature. 5 Reaction evaporation: While evaporating, a certain proportion of reactive gases (such as oxygen, nitrogen, etc.) are introduced into the vacuum chamber, and atoms of the evaporation material combine with the reaction gas during the deposition to form a compound film. SAM offers a variety of high quality elemental and composite evaporation materials in a full range of purities and dimensions to suit any customer needs by the gram, kilogram, troy ounce, pound, pellet and spool in any of our available purities. 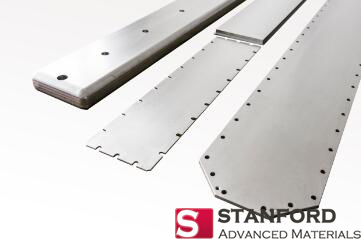 SAM also provides various evaporation sources for both thermal and e-beam evaporation, including metal and ceramic boats, filaments, crucibles and heaters, and e-beam crucible liners. Please visit https://www.sputtertargets.net/ for more information.